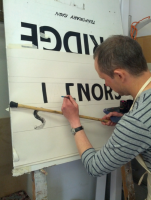 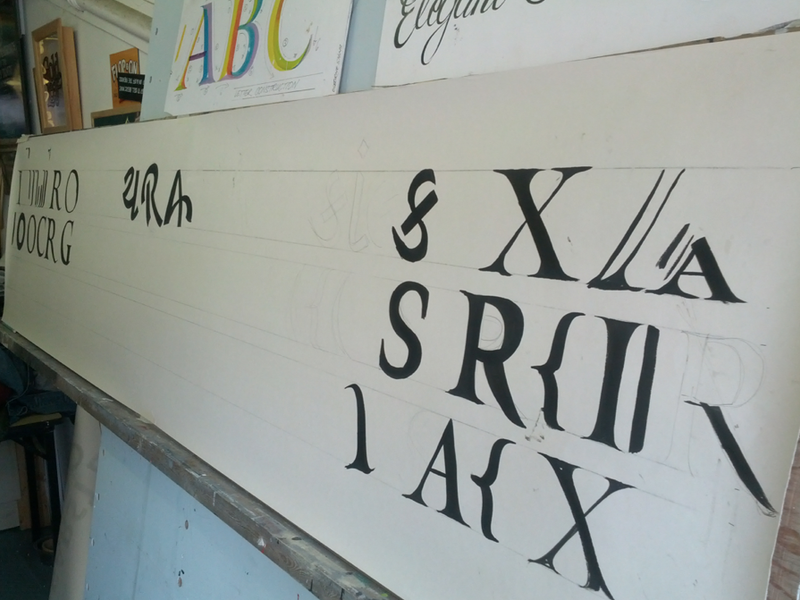 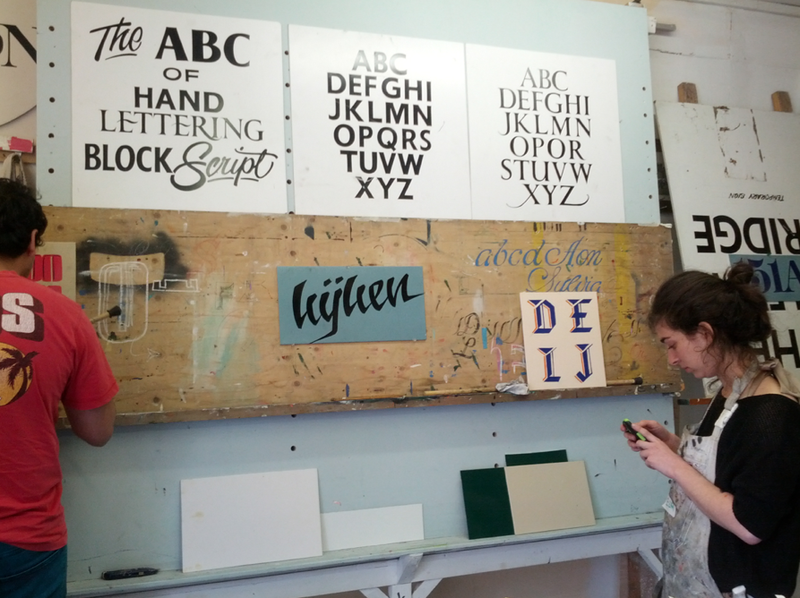 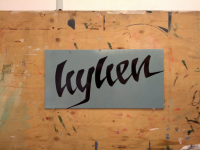 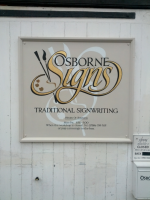 In June I participated together with several Dalton Maag colleagues in a one-day traditional signwriting workshop held by Wayne Osborne, one of the few traditional signwriters left in the world who hand paint signs. 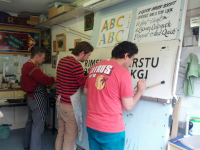 The workshop took place in his studio in Midhurst, West Sussex. 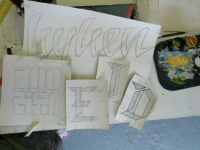 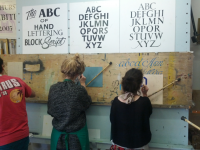 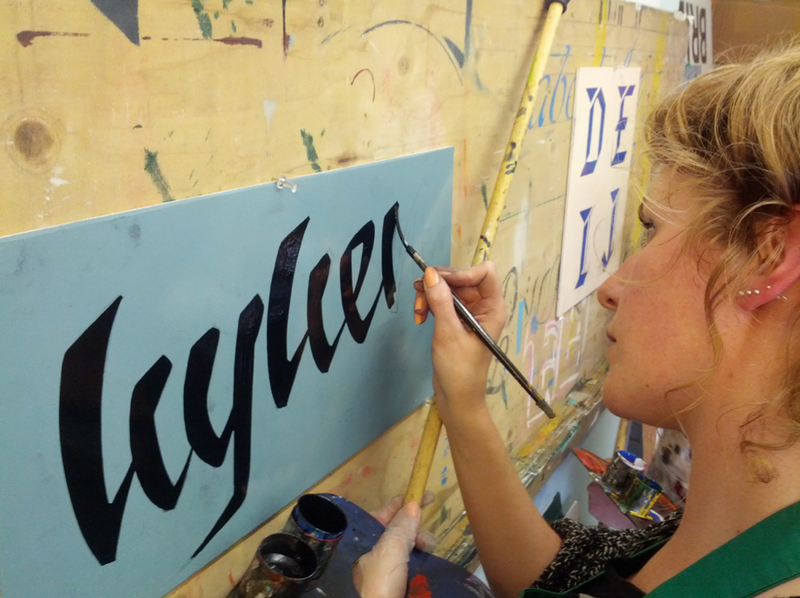 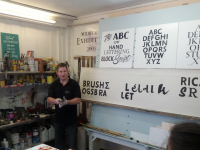 During the workshop we learned about traditional hand lettering, the technique and the art and craft of signwriting. In the morning we practiced painting straight strokes and rounds, after which we continued working on our own designs. 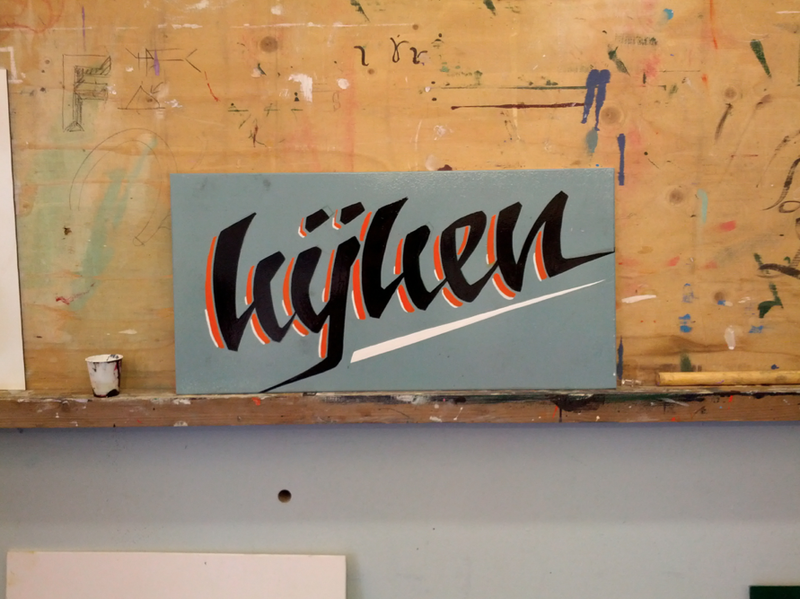 My design derived from my own handwriting, the Dutch word 'kijken' (watching), and contains the Dutch letter 'ij'. Thank you to DaltonMaag for sponsoring the workshop!